Pure Michigan Talent Connect has a great system designed to help you take advantage of job opportunities in the state right now, as well as prepare for the job opportunities of tomorrow. The Pure Michigan Talent Connect allows you to access hundreds of executive, technical and professional jobs with easy-to-use filters. Visit the Job Seeker section to access these and other valuable job seeking tools and resources. Below are additional resources especially for veterans. Michigan Works! offers many services to those seeking employment including resume assistance, mock interviewing, writing effective cover letters and resumes, local job postings, and exclusive workshops developed to assist with employment searches. Please call 1-800-285-WORKS (9675) to be connected to your nearest Service Center or view the interactive map. Veterans with at least one day of active military service and eligible spouses are eligible to receive Priority of Service. 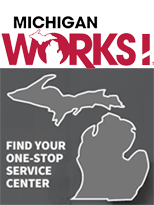 Priority of Service allows veterans and eligible spouses to receive Michigan Works! services before or instead of non-veterans. To take advantage of this entitlement, be sure to identify yourself as a veteran or eligible spouse to Michigan Works! Service Center staff upon entering a service center. For additional information on Priority of Service, call 1-800-285-WORKS (9675) to be connected to your nearest Service Center or view the interactive map. 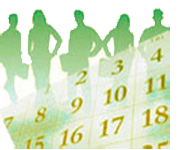 The Michigan Job & Career Fair Calendar contains postings from all across Michigan. Veterans can click on the link above to get more information on current and upcoming job fairs. Doing career research is a great first step in figuring out what type(s) of careers may suit your career goals. Below are links to resources that are veteran specific that can help you gather information on potential career paths or programs that can help you transition into careers that are looking for veterans. There is a wealth of more career exploration tools and resources in the Career Explorer section. In addition to the Pure Michigan Talent Connect, there are many other job search sites that present a wide variety of job opportunities. *A qualifying veteran and/or spouse must register with Michigan Civil Service Commission using the Registration for Veterans’ Preference (CS-1791) form when applying for state classified jobs. Federal jobs are available across our country and around the world. The information on this website will help you understand veterans' preference, how Federal jobs are filled, and unique veteran appointing authorities designed to help you find a job.